Clubhouse and Picnic area may be reserved for parties only by Homeowners year round. During the Non-Pool Season Days only the Clubhouse is available. The Clubhouse and Pool area may be reserved for parties only by Homeowners during Pool Season Days, April 6 – October 15. Lifeguards must be present and will cost $30.00 each per hour. The Lifeguard will be provided by Safewater Management. The number of lifeguards will be determined by the number of people in your party and whether your guests consist of children or adults. For parties of 25 or less, a minimum of 2 Lifeguards is required. For parties of 25 or more, more Lifeguards may be required. Consult Safewater Management for the number of Lifeguards are required for the size of your party. Parties will be capped at 75 swimmers. If your party numbers are larger than booked with Safewater Management, Inc. the lifeguard has the authority to keep party swimmers out of the pool until the sufficient amount of lifeguard coverage deemed necessary arrives. Lifeguards will be paid by the Homeowner obtaining the rental. Checks must be sent to Safewater Management to reserve your date and Lifeguards. See PDF documents at bottom of page for more information on renting the Clubhouse, Parking Lot and/or Pool. 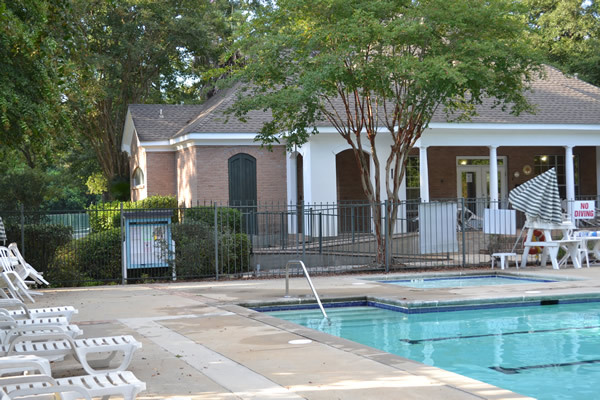 Homeowners and non-resident summer membership members will have key access to the pool from the dates of April 6 through Oct. 15 and can access the pool from the hours of 7 AM-10 PM (there will be no key access during swim team practices, weekdays, 8 AM-10 AM, (May 24 – July 12). Key access cards can be purchased from the Facility Manager. Key card access will require the user to sign an indemnification waiver. All users during non-lifeguard hours must be 18 years of age or older or accompanied by an adult (Person 18 years of age or older). On Mondays, the pool will remain closed for cleaning. 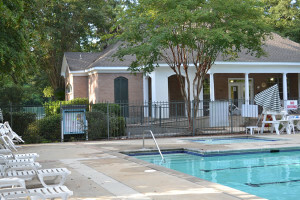 The pool will be open to homeowners during any private party but homeowners and summer memberships are asked to respect the use of the pool by the party participants. All private parties start after 7 PM and when a private party is using the pool Homeowners and Summer memberships must show their key access cards to the Lifeguard on duty to use the pool. Lifeguards must be hired for these events by the homeowner renting the pool. Key card holders will be emailed the dates of private parties. There will be no guards during April, early May, August, September and October. Access to Pool is by Key Card/Fob only during those times. We will have a new sign in book at the entrance to the pool. We will be requiring MANDATORY sign in this Summer in an effort to get the actual numbers that attend the pool on a daily basis. The Pool rules are posted at the pool. Pool rules should be followed at all times. Pool birthday, etc parties are permitted during lifeguard hours but they must be limited to 20 (Twenty) people or less where the non-resident guest are limited to 10. For these parties, if needed, the clubhouse can be used by renting using the normal reservation rental agreement. This applies to both residents and non-resident Summer memberships. Depending on the number people and the time requested in Pool season an additional lifeguard maybe required. Non-resident Summer members may book small parties only during lifeguard hours. Notification to Pool Manager is required during lifeguard hours and non-lifeguard hours in order to avoid overlapping of parties due to limited space. Please limit your activities other than swimming to the picnic area. In the event that the party is outside of lifeguard contract hours, the clubhouse is not available unless booked and paid for. 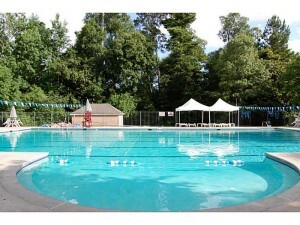 The pool and clubhouse are closed for maintenance on Mondays during summer months. Group and private lessons will be available as early as May. Our program offers swim instruction at its finest. The River Oaks Swim Team is called the RACERS. The Racers swim team was created in 1994 to serve the needs of developing swimmers living in the subdivision and who are ready to learn competitive swimming strokes and improve their overall skills. Swim team is the best way to improve swimming skills after a child has advanced beyond swimming lessons. The River Oaks Swim Team and Swimming Lessons at the River Oaks pool are managed by Charlotte Boswell of Safewater Management, Inc. For information on swim team and swim lessons at River Oaks, you can contact Charlotte Boswell at hoolihancharlotte@yahoo.com or by calling her at (985) 237-9557. Please give details of your request in your email or message. 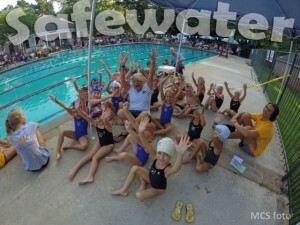 You can also check out the Safewater website for more information and for online registration for joining the swim team or for swimming lessons at: http://www.teamsafewater.com/. 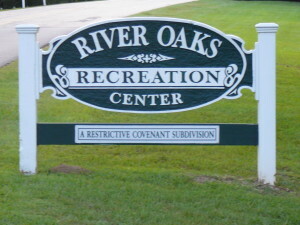 The courts are for the use of River Oaks homeowners and immediate family only. A homeowner must accompany all guests. The Board of Directors has a policy to keep the tennis courts locked when not in use by an Association member or a member of their immediate family. The courts are for members and their immediate family only. Non – members can use the courts, but they must be accompanied by a member. The loaning of a key to a non-resident is prohibited If an unaccompanied non-members using the courts who apparently have obtained a key from a member, they will be asked to leave the courts and return the key if they are found using the courts. The Board asks for your cooperation in this matter. Keys to the facility can be obtained from any Board member or you can contact Charlotte Boswell at hoolihancharlotte@yahoo.com or by calling her at (985) 237-955 to arrange for her to meet you to get a key. Keys will also be issued to any member sponsoring a tennis team. The use of the tennis courts are on a first come –first served basis. If other players are waiting for a court to play, please rotate playing time of the courts. Please remember that tennis courts are for tennis only – basketball, baseball, roller blades, scooters and bicycles are prohibited. 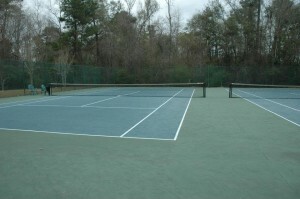 If you use the tennis courts, it is your responsibility to clean the tennis court area. Empty trash containers attached to nets when full. Put trash in the Waste Management containers provided making sure the top is secured. If the garbage can is full, please notify GNO Property at (504) 528-7028. The tennis courts will remain locked. Keys will be issued to residents upon request. 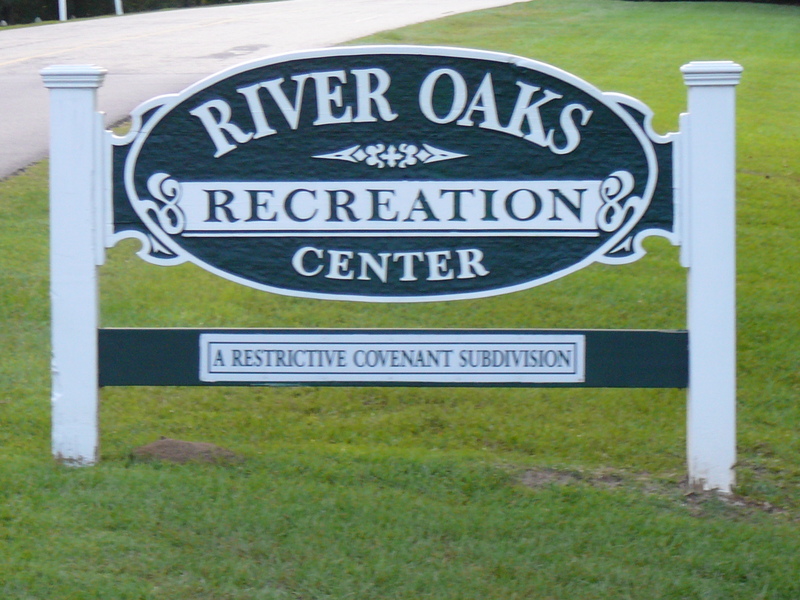 Contact the River Oaks Facilities Manager office to obtain a key for your personal use.